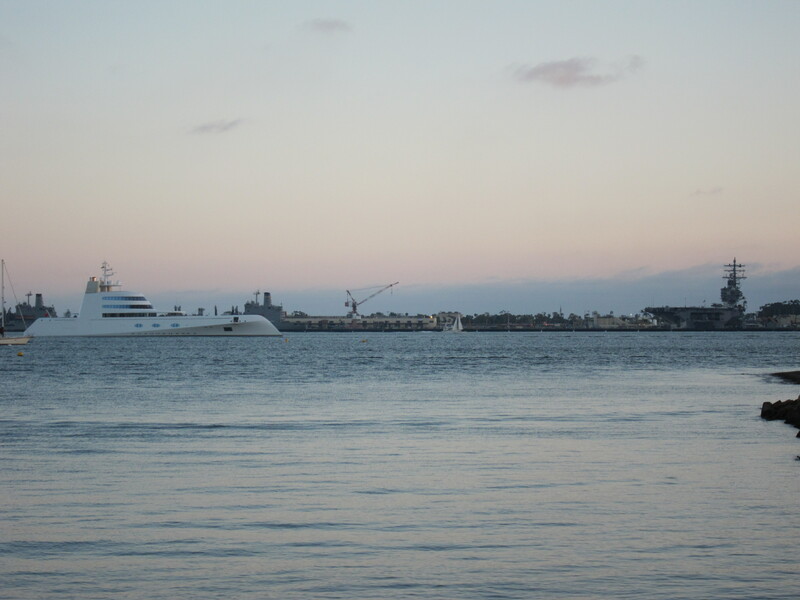 These are pictures that I took of the spectacular and futuristic Superyacht A in San Diego Bay yesterday (08-11-2010). 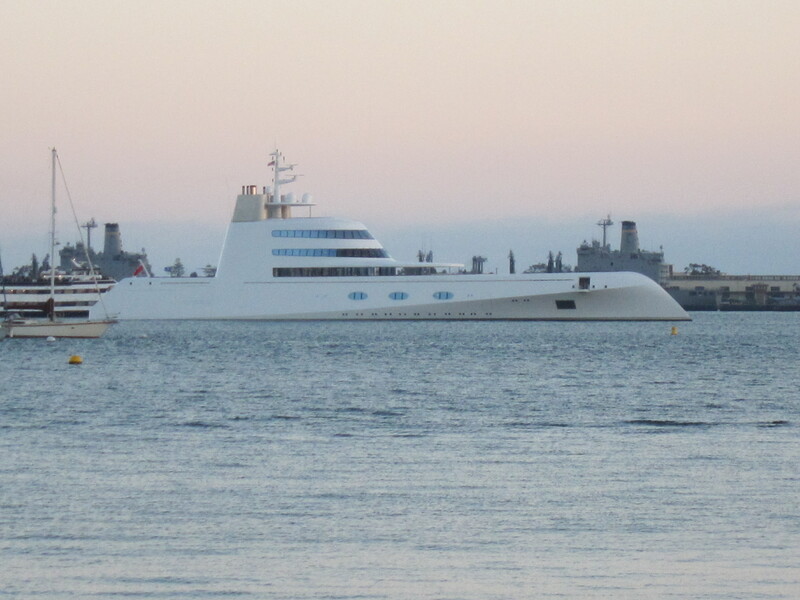 I found out that it is owned by 39 year old Russian billionaire Andrey Meinchenko and that it cost $300,000,000.00. The German built ship has a crew of 42, can cruise at 23 knots and has a range of 6,000 miles. 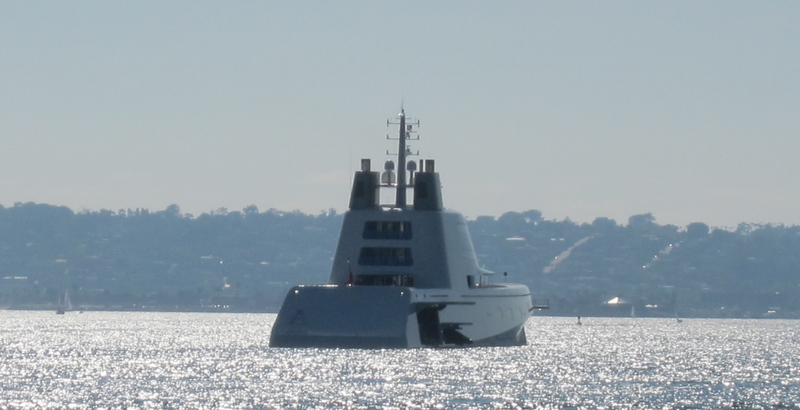 It also has a helipad forward of the superstructure and is equipped with small speed boats that can be deployed from the aft section of the vessel. It looks like it belongs in a James Bond movie. Very cool.